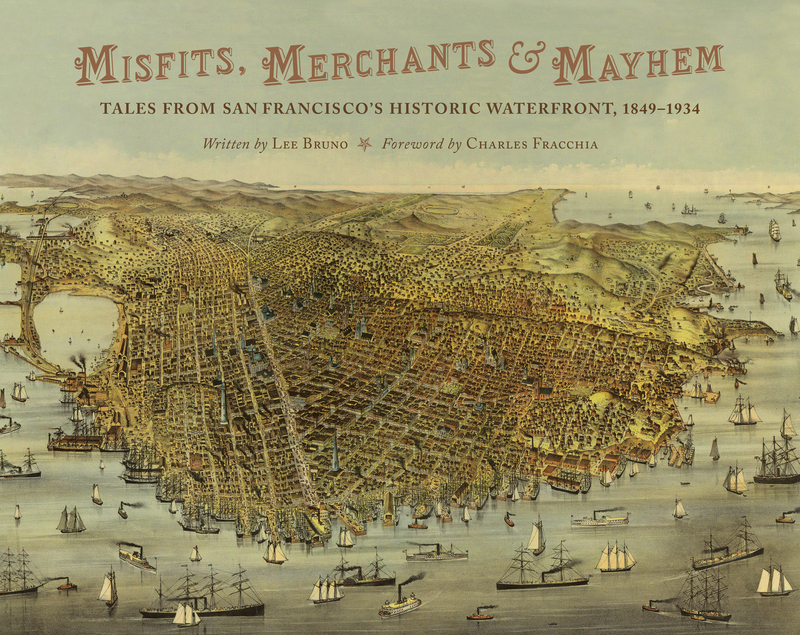 Last month we released our latest San Francisco history book, Misfits, Merchants & Mayhem: Tales from San Francisco’s Historic Waterfront, 1849–1934 , partnering up once more with writer and history-buff Lee Bruno. Lee is also the author of our book, Panorama: Tales from San Francisco’s 1915 Pan-Pacific International Explosion, an exploration of the 1915 Pan-Pacific Exposition. This time around, Lee tells the tales of the misfits, dreamers, idealists, and nonconformists who helped shape the San Francisco waterfront into the magical port it is today. 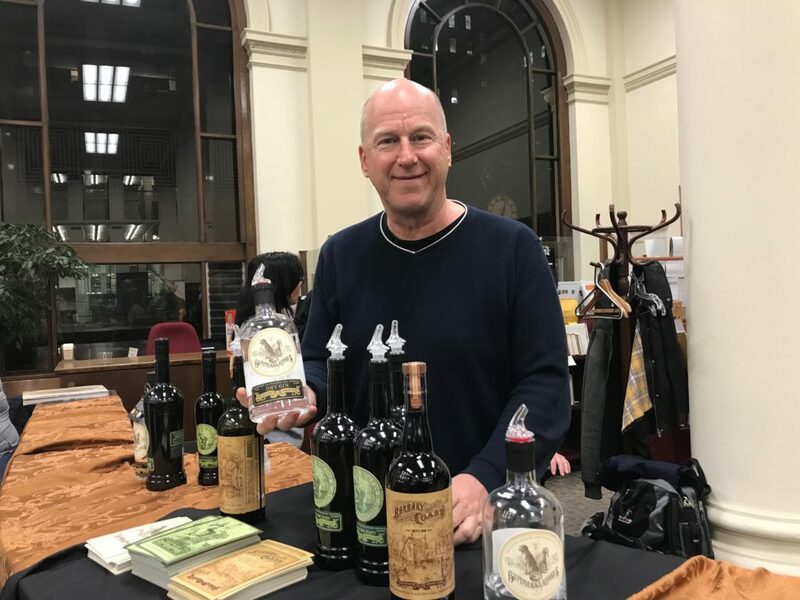 After a successful launch party at the historic Fort Mason Firehouse the week of the book’s release, it was off to the races for Lee, who has had (and will continue to have) a slew of Bay Area events. One of the most recent was at the Mechanics’ Institute Library in San Francisco. 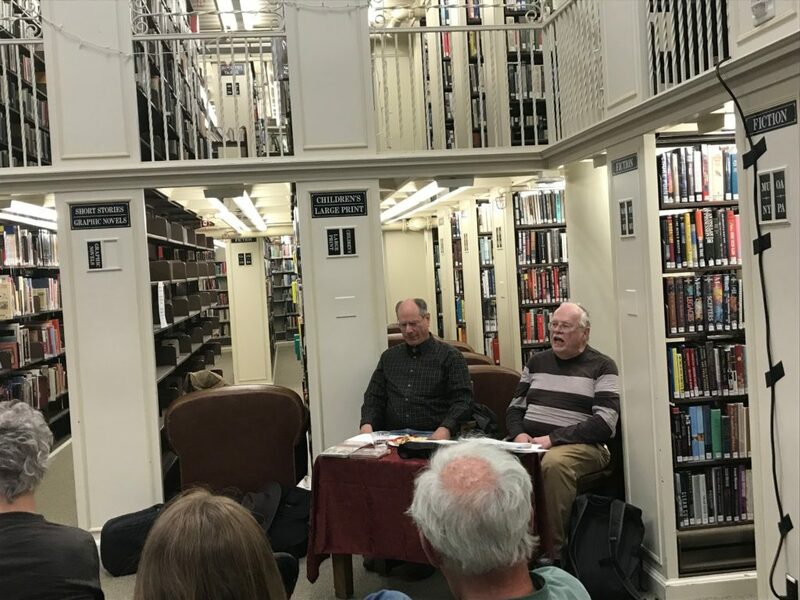 Founded in 1854, the library boasts an extensive collection of resources and databases, offers a wide array of workshops, book groups, and film screenings, and is even home to the oldest continuously operating chess club in the country! The library was thrilled to offer Lee, a member, a platform to share some of the inspiring stories he discovered when writing this book. The evening’s sold-out event featured sea chanty singers, spirits from Raff Distillerie, and a packed house of passionate San Franciscans. Overall, the night was a smashing success. 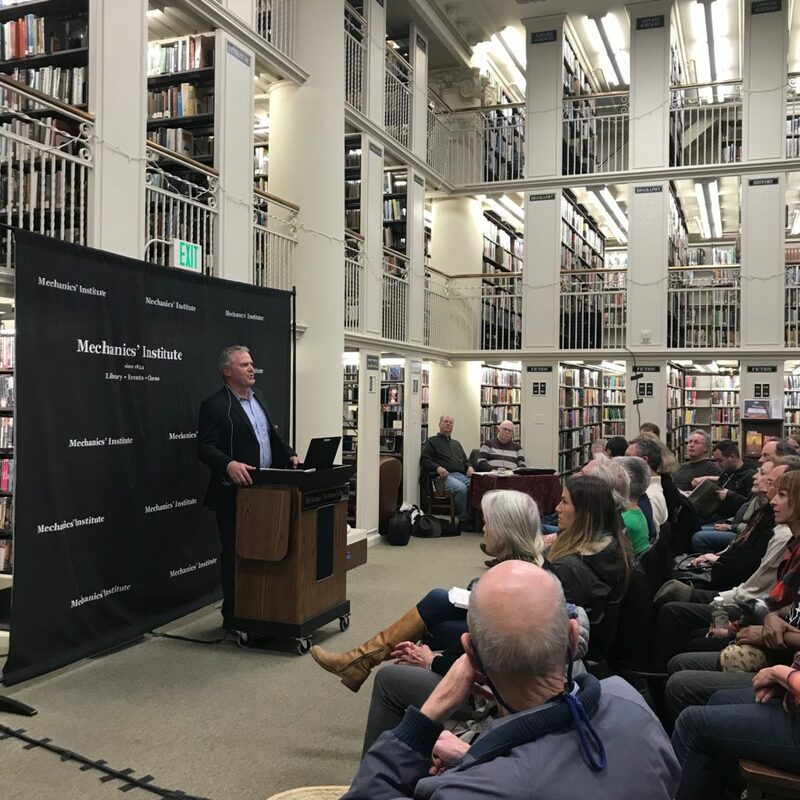 A unique book, a unique venue, and an evening filled with stories of San Francisco’s vibrant past. 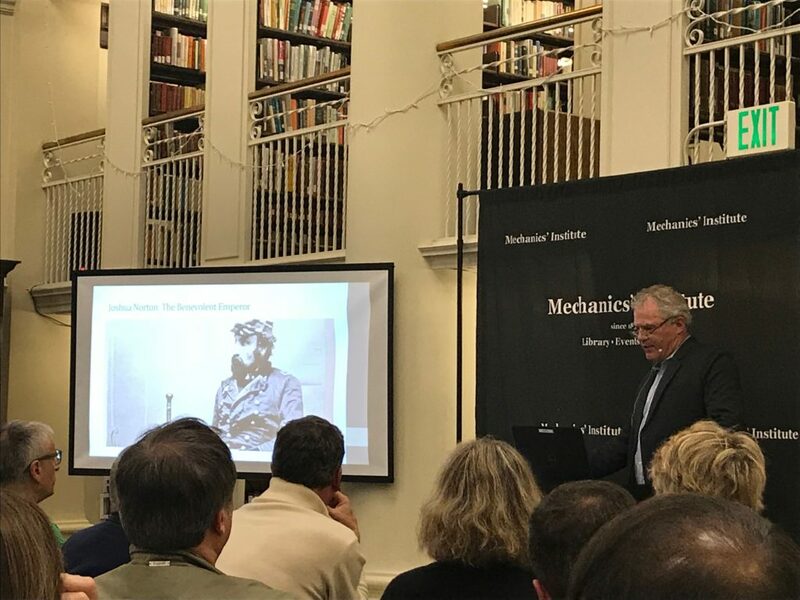 Charles Fracchia, who contributes the book’s foreword, is the founder and president emeritus of the San Francisco Museum and Historical Society and has given talks on a variety of historic subjects to such groups as the Commonwealth Club and the Mechanics’ Institute. He currently lectures at the Fromm Institute at USF. Charles has a BA from USF, an MLS from the University of California, an MA from San Francisco State, and an MA in theology from the Graduate Theological Union/Berkeley. He was one of the founders of Rolling Stone magazine and has written many books and articles about San Francisco history. The Mechanics’ Institute is a leading cultural center that includes a vibrant library, a world-renowned chess program and a full calendar of engaging cultural events. Founded in 1854 to serve the educational and social needs of mechanics — artisans, craftsmen, and inventors — and their families, the Institute today is a favorite of avid readers, writers, downtown employees, chess players, and the 21st century nomadic worker. They are located in their 9-story landmark building in the Financial District of San Francisco at 57 Post Street.